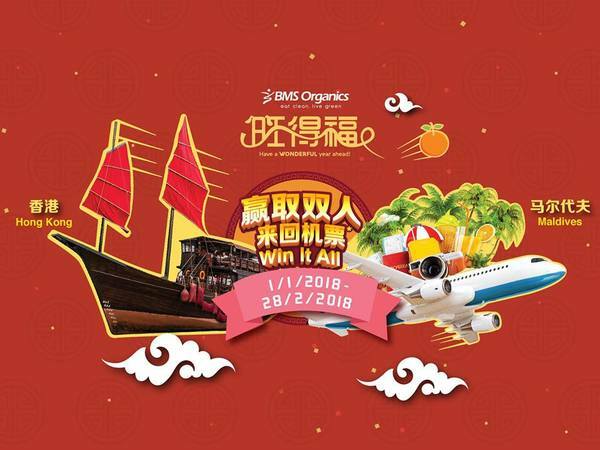 BMS Organics lets you buys pretty hampers as cny gift, and stand a chance to win Maldives return flight ticket for 2! Don't miss it! Spend RM888* on any hampers in a single receipt. Submit the entries at BMS outlets during contest period.